Many of you have heard of the Outer Banks in North Carolina, also known as the Barrier Islands; it is a hub for east coast vacationers looking to spend some quality time on the beach. You have probably vacationed in one, if not many of the villages, including Corolla, Duck, Kitty Hawk, Nags Head, Cape Hatteras, Avon, Ocracoke, etc. However, you usually end your journey at Ocracoke Island. Ocracoke is only accessible by boat or two ferries; one ferry is 40 minutes and crosses the Hatteras Inlet, the other is two hours and 15 minutes across the Ocracoke Inlet to Cedar Island. From Cedar Island, you travel almost 20 miles to Davis, North Carolina. As you look across the sound, you can see the Cape Lookout Lighthouse on the Cape Lookout National Seashore. This chain of islands between Ocracoke and Emerald Isle (Core Banks and Portsmouth Island) are only accessible by ferry. Reservations must be made in advance, especially if you plan on bringing your vehicle. Cape Lookout was Jake and my stop this past weekend. We made our ferry reservations for ourselves, our dog, and our truck about a month in advance with Davis Shore Ferry Service. We got lucky and were the last to get spots on and off the island for Memorial Day weekend. The great thing about Cape Lookout is it is not at all crowded. The island is all sand, so if you want to take your vehicle, make sure it has four-wheel-drive (at least) or you WILL get stuck. Our ferry was at 11am on May 27. Once we got off the ferry, we deflated our tires a bit, then headed out to find our group of off-roaders who were already camped out on the beach, right behind the lighthouse. The group included members from Dirt Road Trip, Augie’s Adventures, and Overland Gear Exchange. A solid group of people just wanting to take an adventure and have some fun. We drove right down the beach and found our adventure group. Mind you, we were a day late to the party since everyone else had arrived the previous day. With blue skies and water awaiting, we set up our tent and unpacked, and of course changed into more suitable clothes. The Point on Cape Lookout was one of the coolest places on the island to go when the tide is out. At the very tip of where the ocean and the sound meet you can find shells and sand dollars rolling around in the surf. We ended up finding a sand dollar, which I was super stoked about, as well as some pretty big sea shells. Our view was spectacular! And even Reagan (our dog) enjoyed the sun, but not so much the water. Our REI Kingdom tent worked pretty well, although half way through the weekend the winds decided to pick up and ended up bending the poles a little bit. So we turned the tent parallel to the water to be more aerodynamic. The garage saved us, not only from the wind, but from the sun. We learned that we need more shade where there was a breeze, otherwise our options were shade without a breeze or no shade and wind. Another awesome setup was the Conqueror. Basically, this sucker is a trailer that sleeps four (inside the trailer itself); it also features a shower, kitchen, air conditioning and heat (inside the trailer), a 42 gallon water tank, and a 270 degree awning with doors and windows. This thing is a BEAST! If you’re interested, you can “Rent Before You Buy” from Overland Gear Exchange. All in all in was a great weekend with some pretty awesome people! And Jake got to do some off-roading with his new truck, although he wasn’t too happy with all the sand that had accumulated on the inside. Cape Lookout is also home to many protected nesting birds and sea turtles. There are temporary area closures where motor vehicles are not permitted to drive, as well as areas closed to pedestrians. We saw mainly Piping Plover nesting areas, but other protected species include, but are not limited to: the Wilson’s Plover, Loggerhead Sea turtles, Leatherback Sea Turtle, Least Tern, Black Skimmer, and Willets. You can find more information on the species on the island on the National Park Service’s Wildlife Management page. Bring more sunscreen!!! I thought I would be set with a travel bottle of 30 SPF spray sunscreen, a travel bottle of 30 SPF, and a regular bottle of 70 SPF for my face. NOPE! Bring more, much more. Never lack on sunscreen. Both Jake and I burned a bit. Always bring some shade to the beach, ALWAYS!!! Thankfully we had the garage on the tent, but it got soooooo hot. First thing I did when we got home was buy a small canopy. 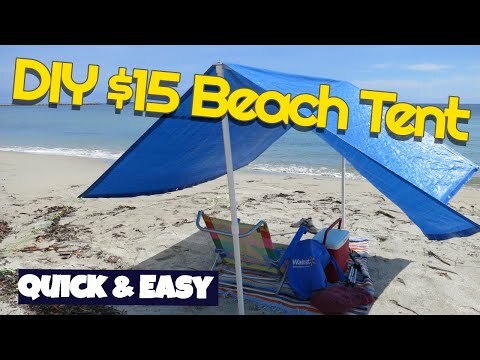 Next time we camp on the beach though, we will be buying some type of awning or tail gating tent, or at least a tarp and some poles. Buy a more aerodynamic tent Buy the rooftop tent. Prepare all of our food in advance. Although we prepared most of our food a day before the trip, we didn’t prepare all of them, and it took more time than we wanted and ended up skipping a meal or two.